No. 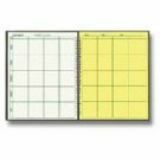 26 (6 period duplicate) Same specifications as regular plan book with the addition of canary sheets for making duplicate copies of plans. A pocked in the back of the book contains two sheets of carbon paper. All Ward Lesson Plan Books are printed in green ink on quality white paper and bound in a durable, deep green cover with semi-concealed wire binding. 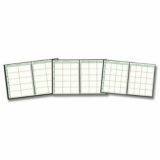 Page size 8 1/2″ x 1″. All books contain a two year calendar, yearly schedule of school events, seating charts, and memorandum sheets. No. 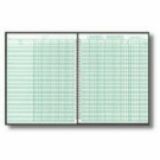 67S (for 6 or 7 week grading periods) Page size 5 5/8 x 10 1/4″ with 45 student names per page. Six grading periods with grading sheets for 36 to 42 weeks of school and 16 classes per year. 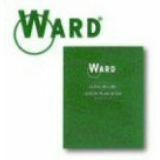 All Ward Class Record Books are printed in green ink on quality white paper and bound in a durable, deep green cover with semi-concealed wire binding. Memorandum sheets and seating charts included in all books. No. 67L (for 6 or 7 week grading periods) Page size 8 1/2″ x 11″ with 38 student names per page, six grading periods with grading sheets for 36 to 40 weeks of school and 16 classes per year. 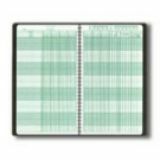 All Ward Class Record Books are printed in green ink on quality white paper and bound in a durable, deep green cover with semi-concealed wire binding. Memorandum sheets and seating charts included in all books. No. 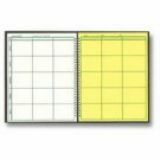 28 (8 period duplicates) Same specifications as regular plan book with the addition of canary sheets for making duplicate copies of the plans. A pocket in the back of the book contains two sheets of carbon paper. All Ward Lesson Plan Books are printed in green ink on quality white paper and bound in a durable, deep green cover with semi-concealed wire binding. Page size 8 1/2″ x 1″. All books contain a two year calendar, yearly schedule of school events, seating charts, and memorandum sheets. No. 910L (for 9 or 10 week grading periods) Page size 8 1/2″ x 11″ with 38 student names per page, four grading periods with grading sheets for 36 to 40 weeks of school and 16 classes per year. 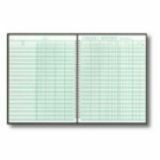 All Ward Class Record Books are printed in green ink on quality white paper and bound in a durable, deep green cover with semi-concealed wire binding. Memorandum sheets and seating charts included in all books.